Smartphone leases seem to be the hot topic of the moment, thanks to a public battle between the CEOs of T-Mobile and Sprint. They also seem to be confusing to many, including those in this industry. What’s the difference between T-Mobile and Sprint leases? Do you own your phone or not on a lease? What happens at the end of your lease? Can you buy the phone or do you have to return it? How do upgrades work? Is a lease a good or bad thing? There is a lot to talk about here. To try and make this all as simple as is possible, we are going to take some time to go through T-Mobile and Sprint’s lease plans, hopefully to give you some sort of comparison of the pros and cons of each. Since T-Mobile’s appears to be a decent deal for those who like to upgrade often, we’ll start there. With T-Mobile’s JUMP! On Demand (JOD), well qualified buyers can grab a new smartphone with $0 out of pocket upfront, then pay for that phone with equal monthly payments on an 18-month lease. With JOD, you also get to upgrade up to 3 times per year without having to pay anything upfront, which means no upgrade fees. You do have to trade in your current device each time, though. If you ever make it to the full 18-months, you can pay off the rest of your phone or trade your current phone back in for a new one and start the cycle all over again. Keep in mind that you also have to pay for service, which happens to be a postpaid Simple Choice plan priced at $50, $60, $70, or $80 per month. Your basic bill would boil down to the monthly payment on your phone lease plus your Simple Choice cost. First and foremost, this is for people who want to use the newest phones at all times without having to pay full retail, but also don’t mind a monthly phone payment. This is for people who like upgrading up to 3 times per year. With that said, if you don’t want to upgrade but once every two years (well, 18 months), this plan will also work for you because it actually ends up being cheaper than the regular JUMP! program and comes close to being a monthly device payment plan. You see, you don’t have to pay the $10 participation fee like you do with regular JUMP!, but you can upgrade 3 times per year (if you want). That’s a significant savings. Just keep in mind that at the end of 18 months, if you choose to keep a phone, you’ll have to pay the difference in your total payments and the full retail cost of the phone to own it outright. Thankfully, if you go that route, there isn’t a weird mark-up – you pay exactly the total of what the full retail is of the phone you are buying. What’s up with payments? Do they count towards the cost of the phone? That’s exactly how it works. Each payment you make counts towards the cost of the phone you are leasing. Let’s say you choose the Galaxy S6, which costs $28.33 per month. After 18 months, you would have paid $509.94 toward that phone. If you decide to keep that phone when 18 months is up, you would then pay the difference in that $509.94 and the full retail cost of the phone ($679.92), which is roughly $170. You could then walk away with your phone, owning 100% of it. But wait, why would I keep a phone for the full 18 months with this program? I don’t know why you would do that. The whole point of this program is for you to upgrade all of the time and have new phones without ever having to pay for anything upfront. Maybe you don’t want to pay that ridiculous $10 per month fee to be a part of the regular JUMP! program, yet love the phone you have, so you are in JOD? That could be an option. With JOD, you could just pay a normal monthly payment without extra fees, never take advantage of the upgrades, then just swap out at 18 months, all while saving $180 in JUMP! participation fees. What phones are available in JUMP! On Demand? Currently, the iPhone 6, iPhone 6Plus, Galaxy S6, Galaxy S6 edge, Galaxy Note 4, and LG G4, but T-Mobile says more will be added over time. When you are ready to upgrade, all you have to do is walk into a participating T-Mobile store, hand them your current phone, and sign a new 18-month lease on a new phone. You don’t have to pay anything upfront or to upgrade. You just have to make sure your current phone is in good condition. Keep in mind that most phones are going to carry different costs. So as you jump from one phone to another, your monthly cost could change. For example, T-Mobile is currently running a $15 promo monthly price for the iPhone 6, but should you jump to another phone like the Galaxy S6, your monthly payment will jump to $28.33 from $15. Sprint’s CEO thinks this is shady, but it’s not. It’s promo pricing. You can do this up to 3 times per year. So why are people complaining about you never actually owning a phone with this program? Well, that’s one of the typical complaints you also see with people who debate leasing a car vs. buying one. It’s up to you to decide if you care about ever actually fully owning a phone or if you would rather just keep swapping out for new phones all of the time. With a lease program, the hope is that you will continue to swap for new phones all of the time to get you to continue to swap and sign 18-month agreement after 18-month agreement. 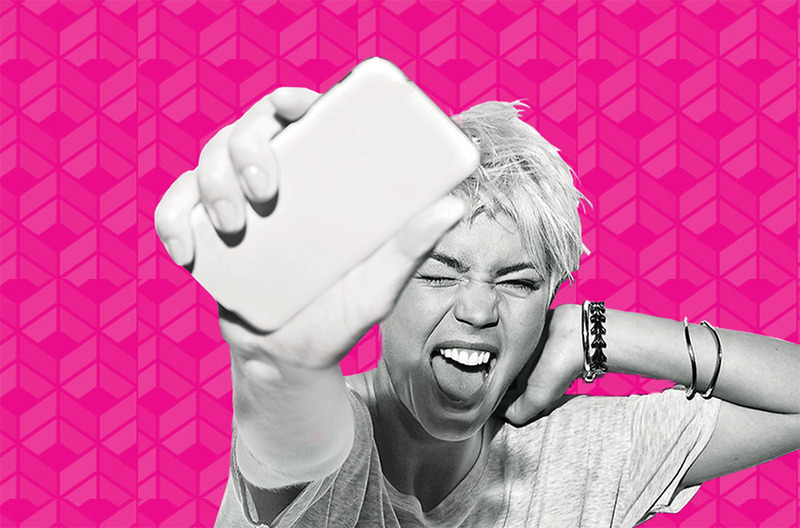 It could be a never ending cycle that keeps you with T-Mobile. For example, if you pay for a phone for 6 months, then swap it for a new phone, you will sign another 18-month lease on that new phone, which then wipes out the 6 months of payments you just coughed up. So as you continue to swap and swap and swap, you also continue to make payments upon payments that never actually add up to you owning anything outright. Can you live with that? Again, you have to decide if you are the type of person who wants a new phone all of the time without paying full retail or if you are the type of person who wants to feel like they spent their money on something and actually own it in the end. I typically look at phones like cars – they are a monthly expense, but one that I don’t typically hang on to for long. If I want a new car every couple of years, and I’ve accepted the fact that this is going to be a monthly bill for the rest of my life, I would lease one. If I want a new phone every few months without having to fully pay them off, leasing is also probably the best choice. Actually, this is one of the better parts to JUMP! On Demand. You see, with the regular JUMP! program from T-Mobile, T-Mobile forces you into paying an extra $10 per month to be able to upgrade at any time, with that $10 cost also covering the price of Premium Handset Protection and Lookout Mobile Security. With JUMP! On Demand, you don’t have to pay that extra $10 fee to be a part of the program and upgrade whenever you want. So, if you are the type of person who never buys handset protection, then with JOD, T-Mobile isn’t forcing you into paying an unnecessary $10 each month. But, should you want some protection, you can add it on for $8 per month. So in the end, even if you wanted Premium Handset Protection, it’ll only cost you $8 per month instead of $10. You are saving $2 per month with JOD over the regular JUMP!. What if I cancel mid-way through? Since you signed an 18-month lease, you would have to pay the remaining payments and return the device to T-Mobile. If there is good news here, it’s that you don’t have to pay T-Mobile for the remaining value of the phone, only the remaining payments. Where can I sign up for JUMP! On Demand? At this time, only in participating T-Mobile stores. Wait, isn’t this basically just like me signing a good ol’ wireless contract? Actually, yes, it is. However, this is a little different in that your wireless service and phone payment are separated into separate columns on your billing statement. So even though you are signing up for 18 months worth of payments (which means 18 months of service in reality), you know that at the end of that 18 months, you can wipe out the device payment portion if you choose and just pay for service. Our biggest gripe with contracts in the past was how carriers were hiding subsidy costs in their service prices and would charge them even if you owned your phone outright. With JOD, you don’t have those hidden subsidy costs necessarily. So is it worth signing up for? Well, if you like upgrading a lot, then yeah, it probably is. It’s certainly a better deal than the regular JUMP!, which forces you to pay an extra $10 a month that many of you would rather hang on to. It doesn’t cost anything upfront or to upgrade. The only spot some of you will hesitate at is that whole “never actually owning” a phone part. So you have to decide if you would rather swap out for new phones all of the time and just accept life with a phone payment, or if you want to end up owning phones outright. And even if you do want to own them outright, this is still probably a decent deal, since you can pay for the phone at the end of 18 months anyway. And that’s it for now. As we see other areas to tackle, we will do our best to add to this post. Questions? Sprint’s All-In plan is up next.